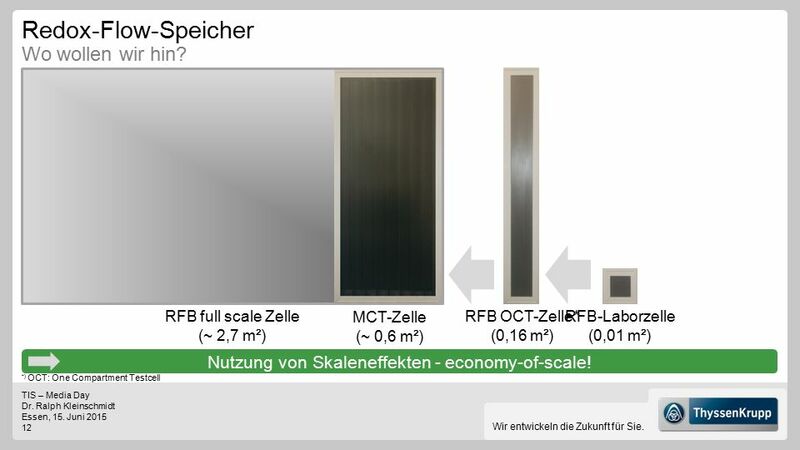 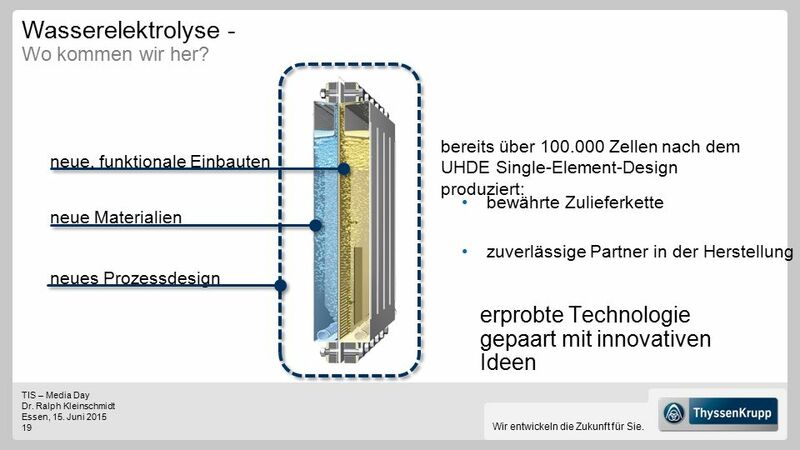 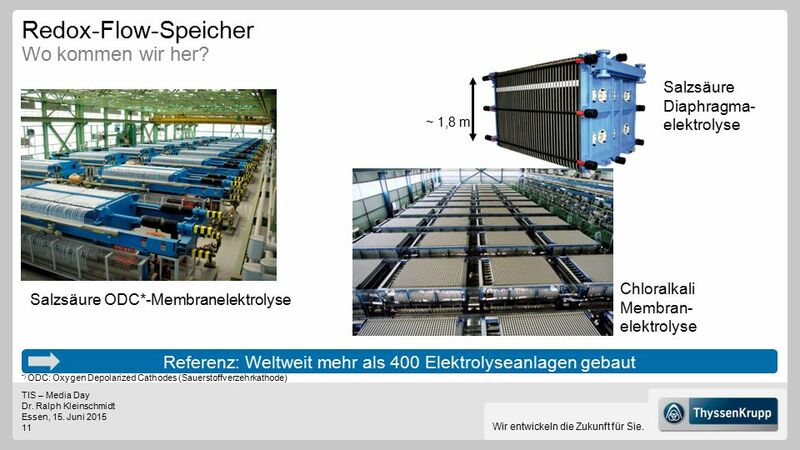 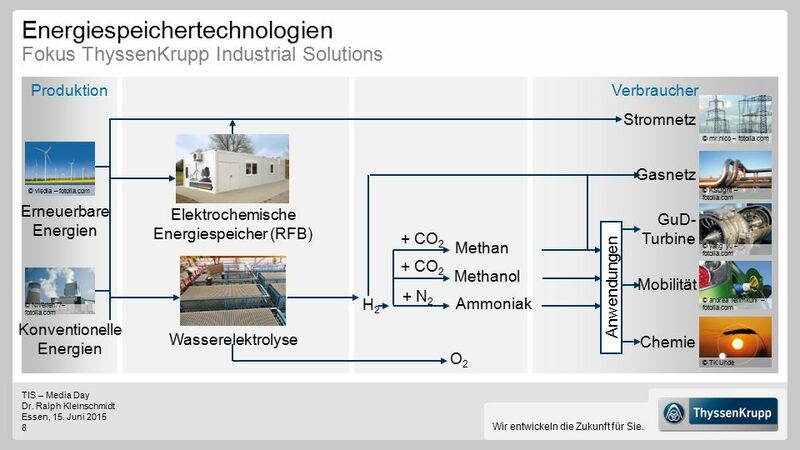 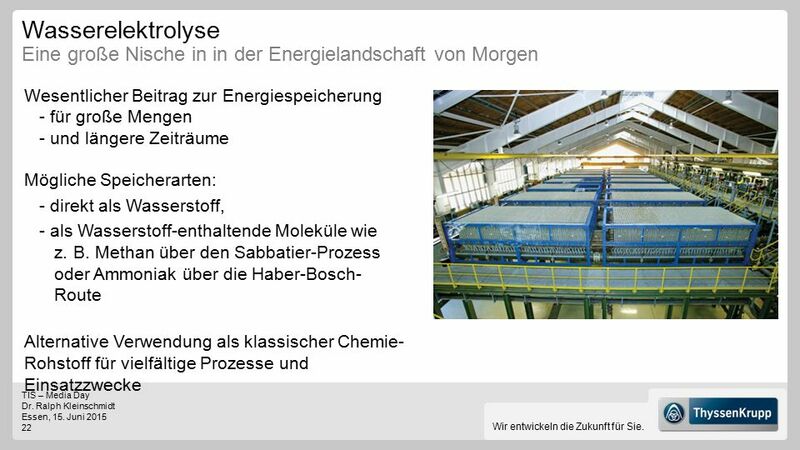 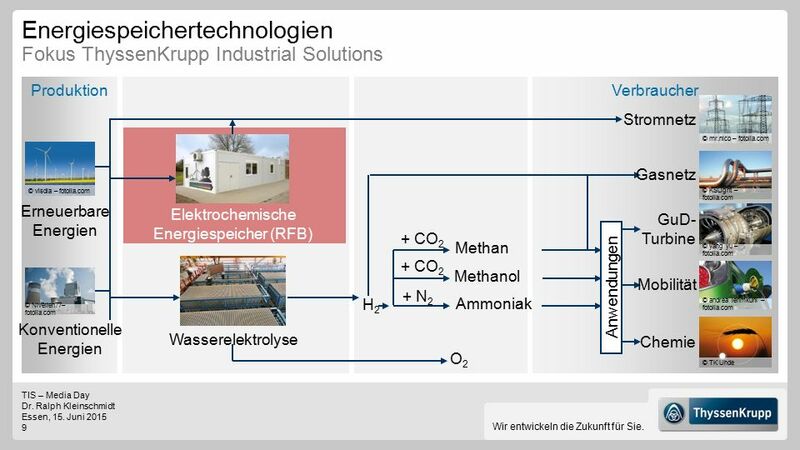 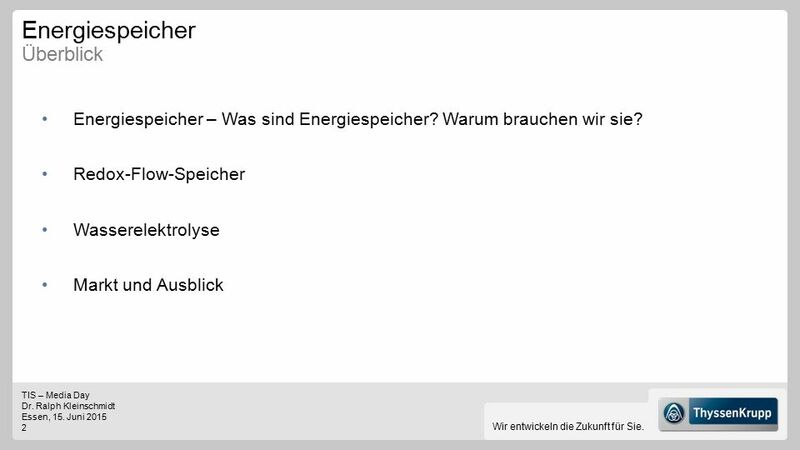 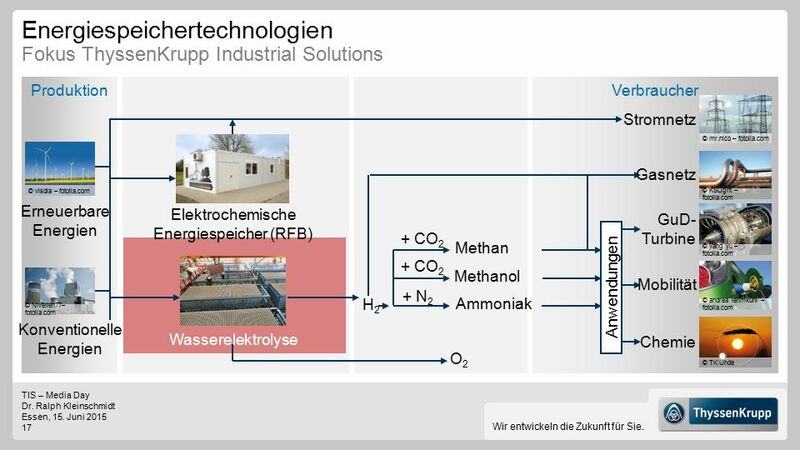 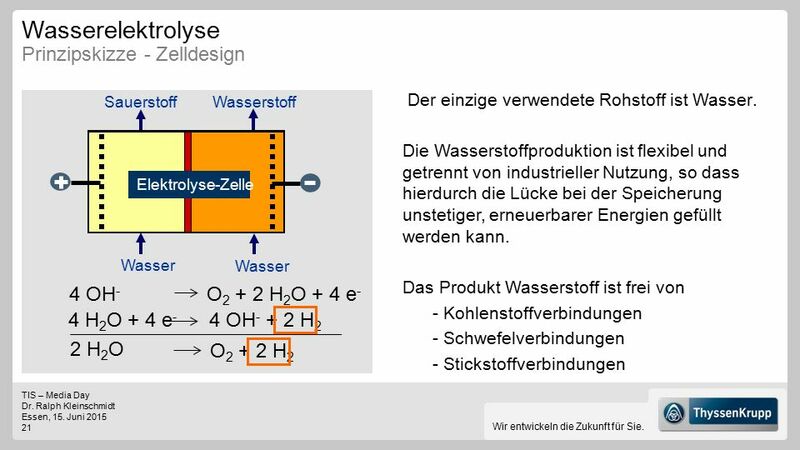 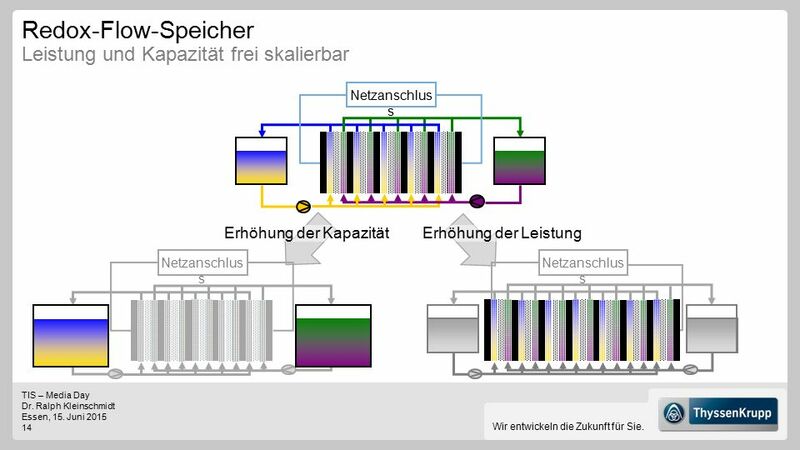 10 Redox-Flow-Speicher Wo kommt die Technologie her? 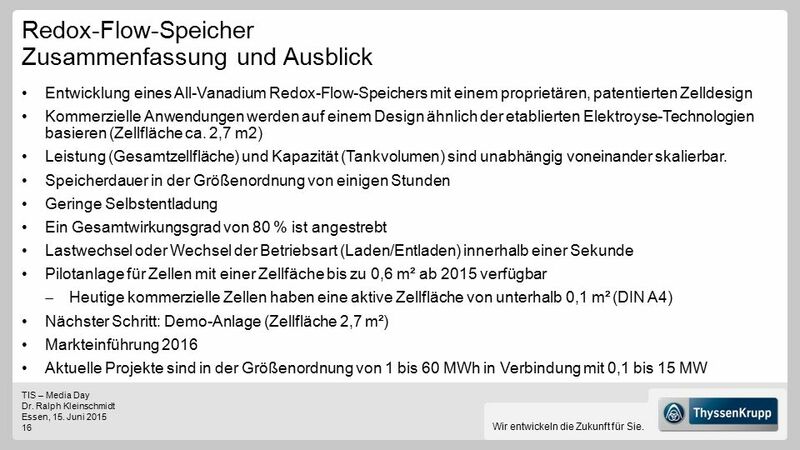 11 Redox-Flow-Speicher Wo kommen wir her? 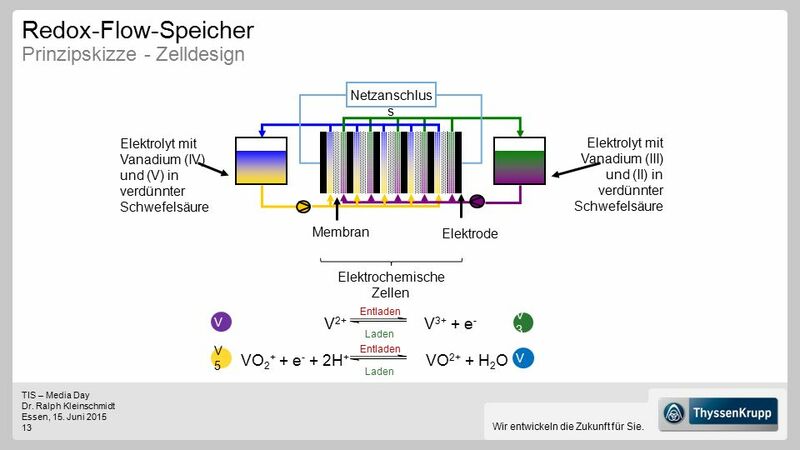 12 Redox-Flow-Speicher Wo wollen wir hin? 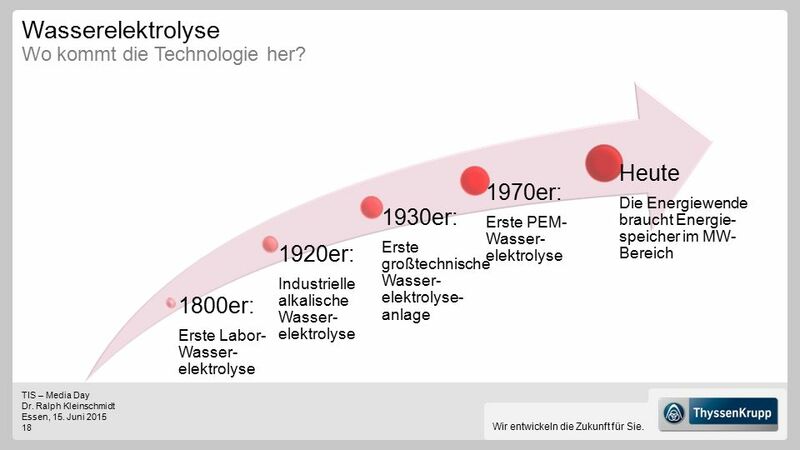 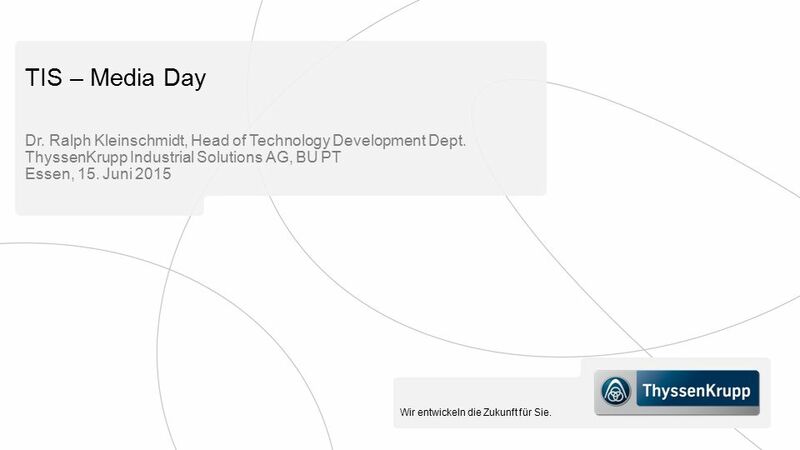 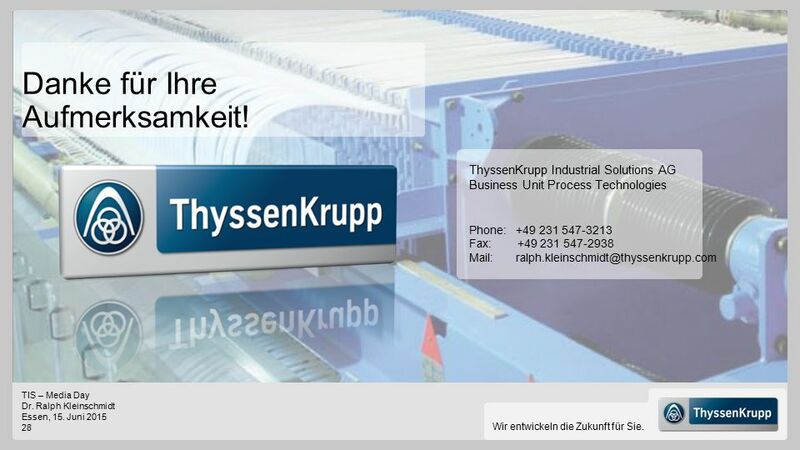 18 Wasserelektrolyse Wo kommt die Technologie her? 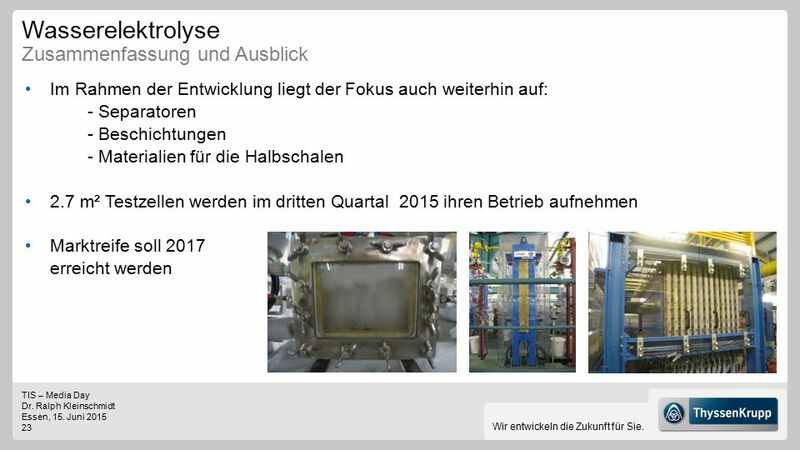 19 Wasserelektrolyse - Wo kommen wir her? 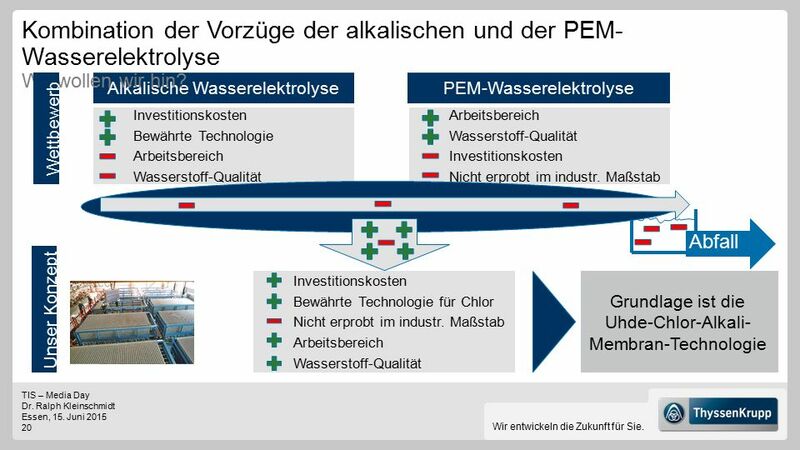 20 Kombination der Vorzüge der alkalischen und der PEM-Wasserelektrolyse Wo wollen wir hin? 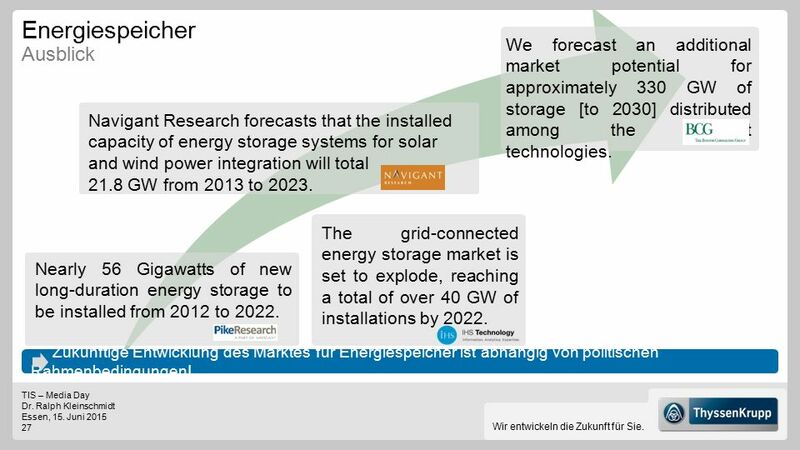 We forecast an additional market potential for approximately 330 GW of storage [to 2030] distributed among the different technologies. 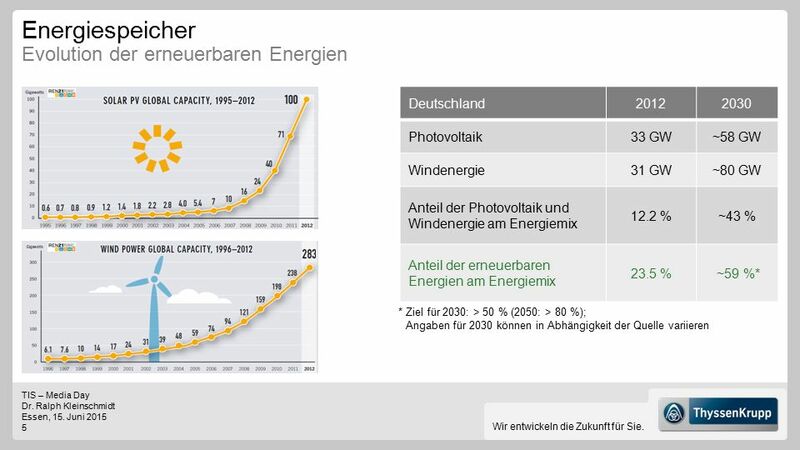 Navigant Research forecasts that the installed capacity of energy storage systems for solar and wind power integration will total GW from 2013 to 2023. 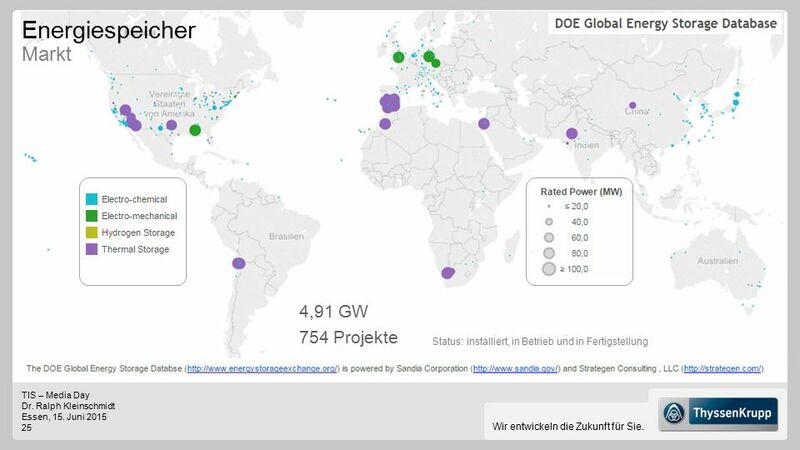 The grid-connected energy storage market is set to explode, reaching a total of over 40 GW of installations by 2022. 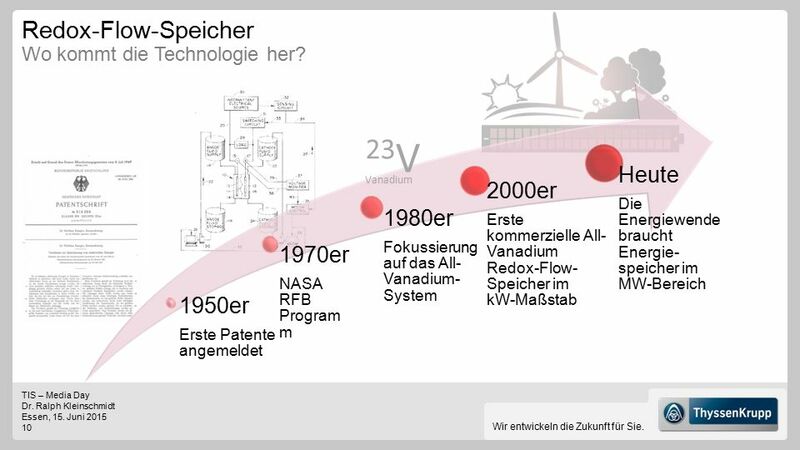 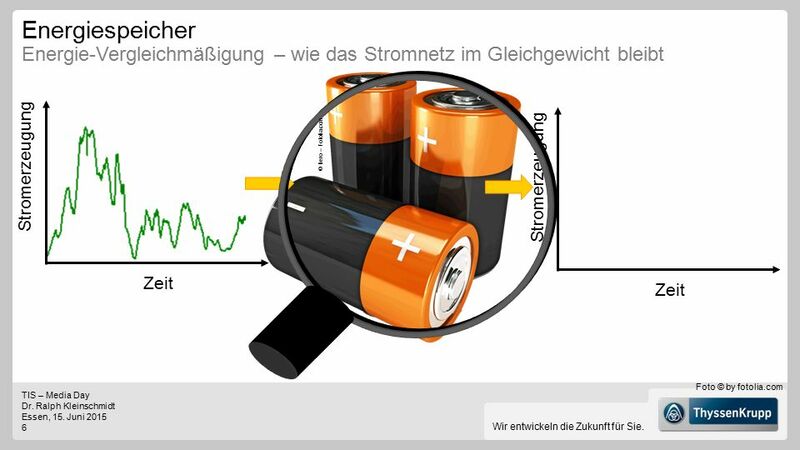 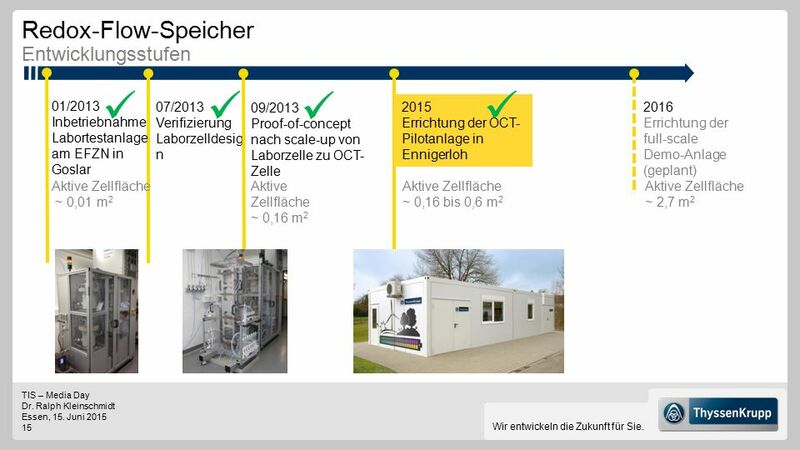 Nearly 56 Gigawatts of new long-duration energy storage to be installed from 2012 to 2022. 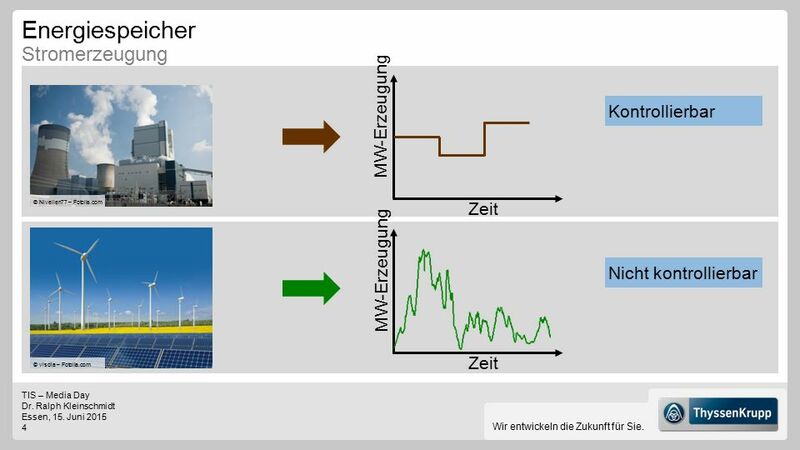 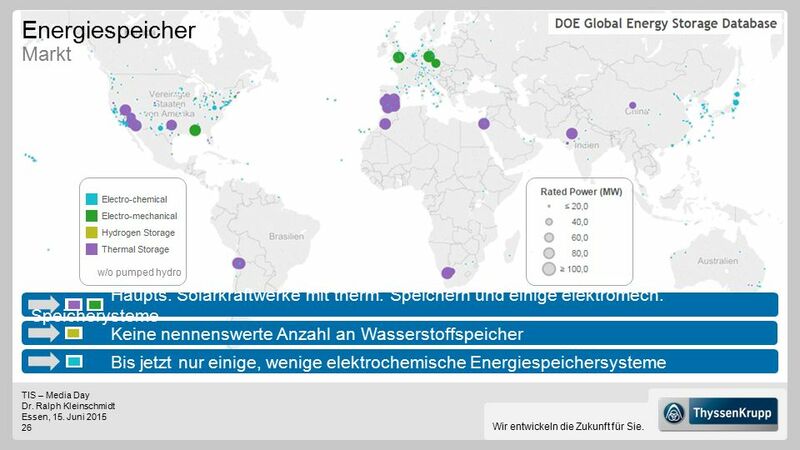 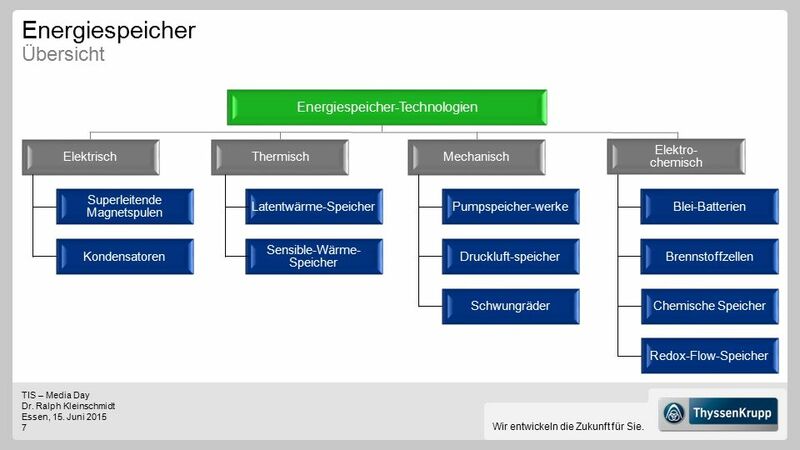 Zukünftige Entwicklung des Marktes für Energiespeicher ist abhängig von politischen Rahmenbedingungen!